In the last chapter we left off with a very happy couple who had just gotten married! They spent their first few days together in honeymoon bliss. Violet and Camilo both used up all their vacation days so they could spend some quality time together. Camilo was upset that he didn't have the funds to take his wife on a good honeymoon but he knew that they would spend a lot of "quality time" together anyway. Camilo: Yea what is it? If its about me not putting down the toilet seat last night I'm really sorry I was like half asleep! Violet: No that's what this is about! But thank god I didn't go use the bathroom..anyways..I was thinkiiiiing that we coooould, have a baby! Camilo: Yea we can! In fact let's go wrestle right now, if you know what I mean. Violet: GAH CREATOR I'M TRYING TO USE THE BATHROOM. Well I know that you took a pregnancy test so I'm really excited right now! I feel like I'M having a baby! Violet: Well let's see the results considering I can't finish peeing in peace. Well it was only your first try, sometimes people just can't get pregnant on their first try! Chin up dear it'll be okay. Violet: What is wrong with me? I know that Creator said that sometimes people don't get pregnant on the first try but I'm part of a legacy! What if I can never get pregnant, I would be the laughing stock of the entire world. A woman who started a legacy and couldn't even get pregnant? The tabloids and papers would eat that up! I just need to keep a level head about this...I hope Cam understands..
Camilo: Violet, baby, it's okay. Shhh don't cry sweetie it's gonna be alright we can try again soon. Violet: That's not it Cam my birthday is coming up soon, what if I can't have a baby and starting this legacy was all in vain?! Camilo: That's not how it's gonna be V, I know how badly you want children and nothing is going to stop me from giving you that gift. Now go take a nap I'm gonna go make us some salad for dinner. Without another word Violet went and laid down on the couch to take a nap. Her dreams were riddled with nightmares of people laughing at her, mocking her about how she couldn't have children. She woke back up in a cold sweat after about an hour of sleeping and the living room light had been turned off. Violet saw a lone bowl of salad beside the TV for her and she couldn't help but think about how wonderful of a husband she had. The thought gave her comfort. 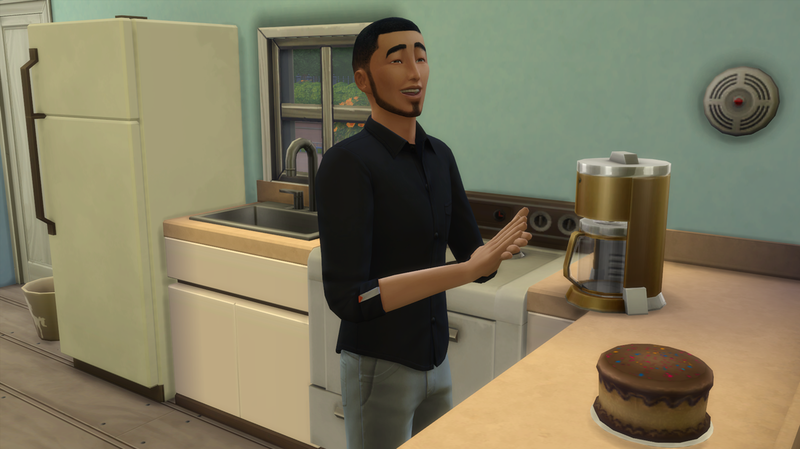 A couple weeks had passed since the last time they had tried for a baby and Camilo was determined to try it again tonight. He couldn't stand seeing his beautiful wife walk around day and night with a sad look on her face. Camilo: V, I think we should try for another baby. Violet: Are you sure? What if I don't get pregnant again? Camilo: I'll still love you and we'll keep trying. Violet: Okay...I love you Cam. Camilo: Love you too V.
Chin up buttercup, you can always try again! 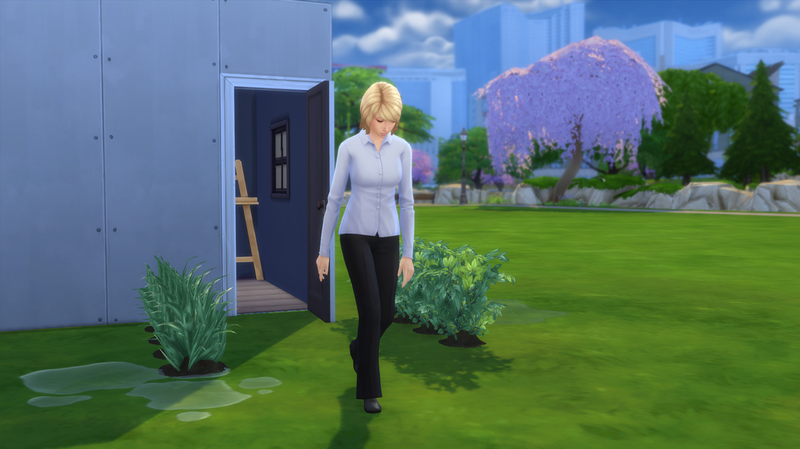 Violet: I'm running out of hope though...I'm just gonna head off to work..
As Violet set off to work her heart was heavy with the news she received this morning. 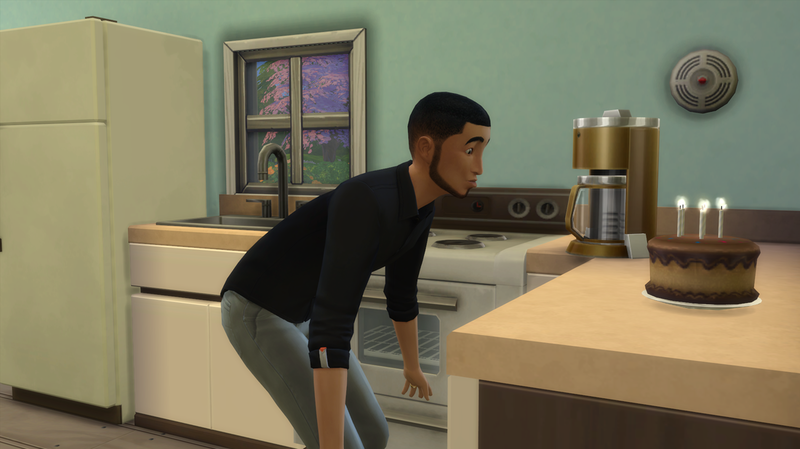 For a second time she was going to have to tell Camilo that she wasn't pregnant. That was a conversation that she was not looking forward to. Camilo: Hey V! Why'd you do that! I was watching the news. Did you know there was a fire at the Goth Mansion? They're saying it was arson, funny huh? One of the richest families in the neighborhood and they're trying to get insurance money! Noticing the pain on Violets face Camilo already knew what she was going to talk about. He didn't want her to say it out loud, he just wanted her to feel better. Camilo: I don't want to hear it baby. Come with me, let me take the pain away. Violet woke up in the morning and was getting dressed for work when she had this weird feeling in her stomach, she was nervous to take another pregnancy test but knew that it was best to get it out of the way now. Violet: I'M PREGNANT, FINALLY I'M GONNA HAVE A BABY! Violet: Cami Bear I have exciting news! Camilo: If you're using that god awful name it has to be something exciting. Violet: Oh hush! But...I'M PREGNANT! Camilo: REALLY?! ARE YOU SERIOUS?! OMYGOD! V, BABY WE DID IT! The couple were in bliss when they found out they were pregnant.Through the first trimester it was only a little uncomfortable for Violet, she had minor backaches but Camilo took care of that with his world class massages. He was the perfect husband and Violet knew that he was going to be the perfect father. Violet: Mmmmm I don't know why I made this fruitcake, because I absolutely HATE fruitcake, but this baby is making me love things I hate. Camilo: Oh hello in there little baby, I'm your daddy, did you know that? And daddy and mommy love you very very much, yes we do! Violet: Okay, calm down there with the baby talk you're making me sick just listening to you. Camilo: Woooah there grouchy, someone is having mood swings! Violet: I'm the size of a hippo, I have to pee every 30 minutes, and I eat more than 5 meals a day. YES I'M GROUCHY. Camilo: *whispers* Okay little baby you're gonna have to come out of your momma very soon, because I think she wants to kill me. Violet wanted a break from home. She had still been going to work because Camilo didn't make that much money from his job as a painter and she was basically the bread winner. She decided that it was high time that she went to go see Liberty and tell her the big news. Liberty: O my word I have missed you so much Violet, I have so much to tell you! Violet: You have no idea how much I have to tell you! Liberty: Um omygod you belly...it's friggin HUGE. Violet: Yea I know thanks for pointing that out Liberty! Liberty: I'm sorry it's just friggin huge and- wait does that mean. ARE YOU PREGNANT?! Violet: No! I just accidently swallowed a watermelon! Liberty: I think you need to go to the hospital that can't be healthy. Violet: Omygod. Yes I'm pregnant Liberty! Liberty: OH okay good. I got really worried for a sec. Can I like..feel it? Violet: Sure, it likes to kick around a lot though so I think you might feel something. Liberty: Oh good lord I did. That.is.terrifying. Okay! Time for my news! I am officially engaged! Liberty: Yes way! I'm engaged to my roommate Travis Scott! I've had a crush on him for like ever and we started dating a little after my birthday, he's the best and he actually proposed to me the other night! We're moving out and getting our own place. I am so excited! Violet: I am so happy for you! Oh crap I forgot I have to be at work in 10 minutes! Liberty: Wait you have to go to work and you look like that? Jeez, tough life. Violet: Your hilarious Liberty, talk to you later! HAPPY BIRTHDAY! I know you probably won't be seeing this til you get off work but I made you a birthday cake! Chocolate just like you like it. I'm really sorry I couldn't be there to celebrate with you but I'm at work right now, as you know! I hope it tastes as good as it smells and when I come home we'll relax and do whatever you want! Camilo: Well I officially have the best wife ever. I really shouldn't eat to much of it...buuuuut it is my birthday..Oh what the heck! Violet: Cam I'm home! Good god my back is killing me right now! When Violet got home Camilo decided that he just wanted to take a nap and listen to the baby, he just really wanted to spend some quality time with his little family. While they were napping Violet shot up out of a dead sleep with horrible pains. Camilo: huh what, what's going on. Violet: GET UP I THINK I'M IN LABOR. Camilo: Okay baby calm down let's go into the other room and get you comfortable. Through the first half of the labor Camilo held Violets hand and they walked up and down the house, he stopped to massage her back occasionally. Violet: Cam I gotta sit down I can't stand anymore the pain is to much and I think my legs are going to buckle. Camilo: Okay V, come on let's sit on the sofa. After a few hours the pain started to get worse and worse and Violet knew that it was time for the baby to come. Violet: Cam the baby is coming NOW. Camilo: Okay uh I'm looking up what we should do next! Violet: THERE'S NO TIME. THIS BABY IS COMING NOW. While Camilo was patting Violets head with towels the pains were getting stronger and.. They welcomed in a new baby boy! 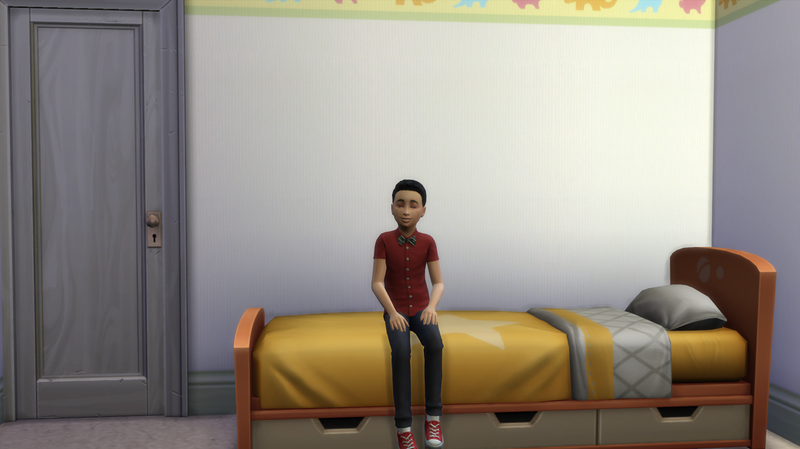 Everyone meet James Belle, the first ever baby born in the Belle Legacy! 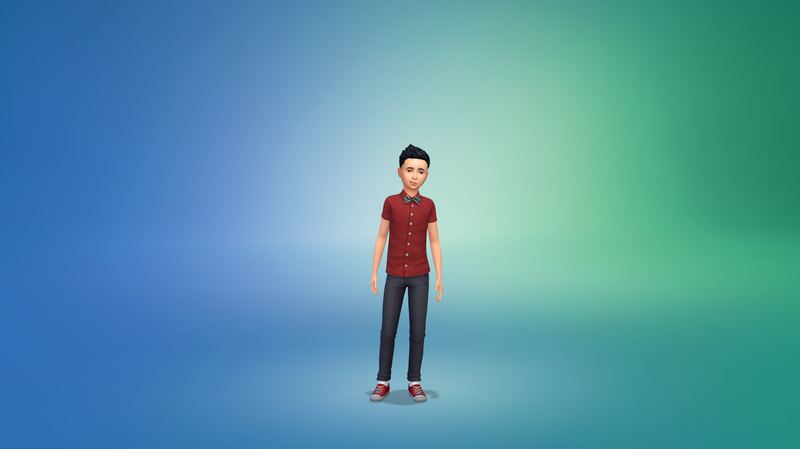 Time passed in the Belle household and James grew up into a very handsome little boy. He had the same eye and hair color as his father and inherited the creative trait from both his parents! He is absolutely precious and is definitely a mommas boy. 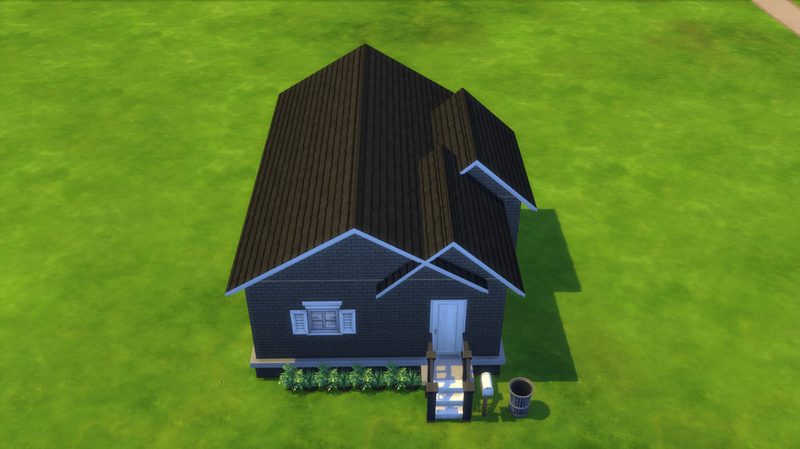 With all the money the Belles had saved up they could finally do something about the bland exterior of their house, plus expand the house in general! 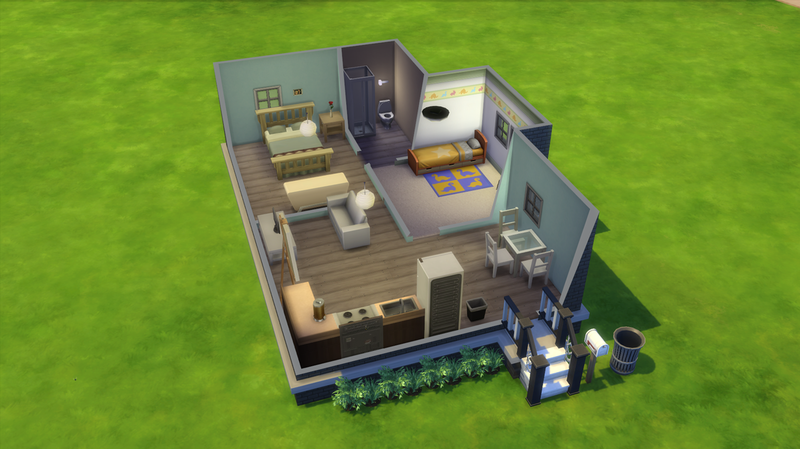 They were able to bring out the living room enough to add a dining area and they added a nice little room for James and could even buy him a high end violin that he had been dying to have ever since he saw it in a magazine! Here I will leave you with an adorable picture of James! Will he be the heir? Will Violet and Camilo be able to have anymore children? Find out soon! That's all for now folks! Chapter 4: Hope you enjoy!